Kerry Ginger, mezzo soprano, is in her eighth season with True Concord. 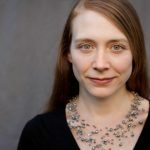 Active as a performer, teacher, and clinician across the Southwest, Dr. Ginger is currently on the voice faculty at Fort Lewis College in Durango, CO, where she maintains an ensemble in residence, Quadrivium. 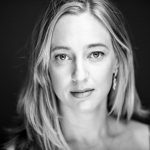 She performs regularly with the Santa Fe Desert Chorale and Oregon Bach Festival Chorus, and has also sung with the Grammy award-winning Phoenix Chorale, sounding light, and Spire Chamber Ensemble. She has appeared as a soloist with Music in the Mountains, The Phoenix Symphony, and Arizona Opera. Dedicated to scholarship and service in her musical community, Dr. Ginger is active in NATS, the College Music Society, and the Colorado Music Educators’ Association. She earned her Doctorate of Musical Arts in Voice at Arizona State University.